Three pears remained from the 14 picked from our compact pear tree in our small back garden this summer. 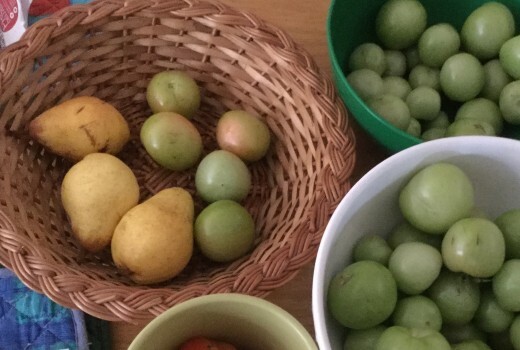 My husband loves eating hard pears whereas I love a soft pear but these last three pears were just that bit too ripe even for me, yet I did not want to consign them to the compost bin. 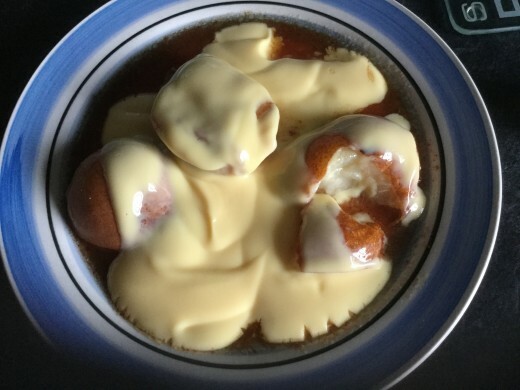 I thought there must be something I can use them for and after a little research and a scout around my kitchen cupboards to see what was available I came up with Pears baked with Butter and Cinnamon and served with a rich Custard which sounded perfect. 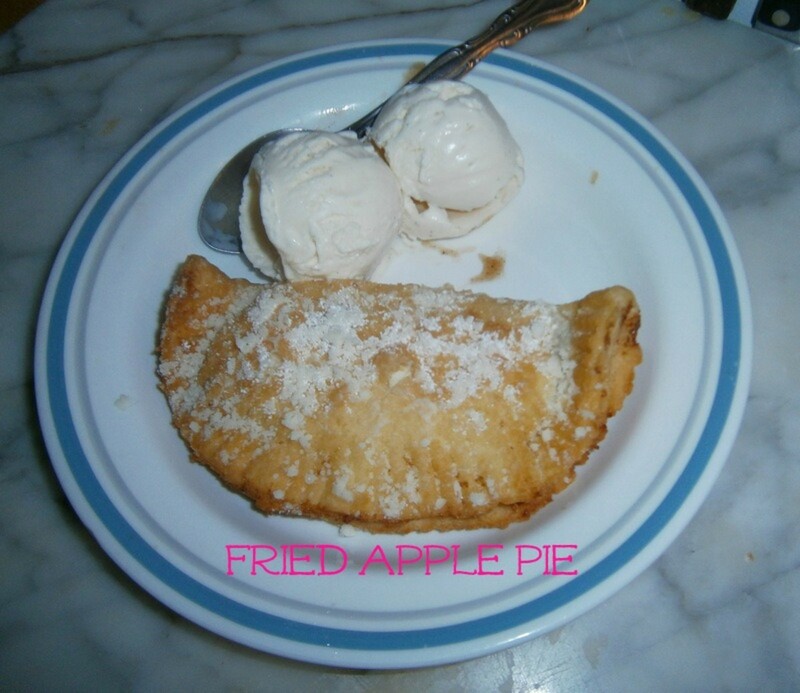 It was a quick and easy dessert to make with minimal fuss, cost next to nothing and better still it tasted great! Wash the pears, dry with kitchen paper, then slice a little from the bottom of each pear so they will stay upright In the oven. Slice the pears in half, removing the stalks and as much of the cores as desired. I used white granulated sugar, adding ground cinammon to it in a jar before popping a lid on and shaking the jar and its contents well. Rub each pear half with a little butter before sprinkling with the sugar and cinammon mix. Stand the two of halves of each pear upright together on the foil before adding a little butter at the top of each pear and wrapping each in cooking or aluminium foil. Place the three foil packets on a baking tray in a medium heat oven and bake for 25 minutes. Take care when opening each foil packet as there will be hot steam and a sticky syrup. I used store bought ready made custard which you can use cold or heat if preferred. These look really delicious! I will definitely be trying these for sure! Looks so delicious! Pear has been one of my favorites fruits. I actually prefer it more than an apple. 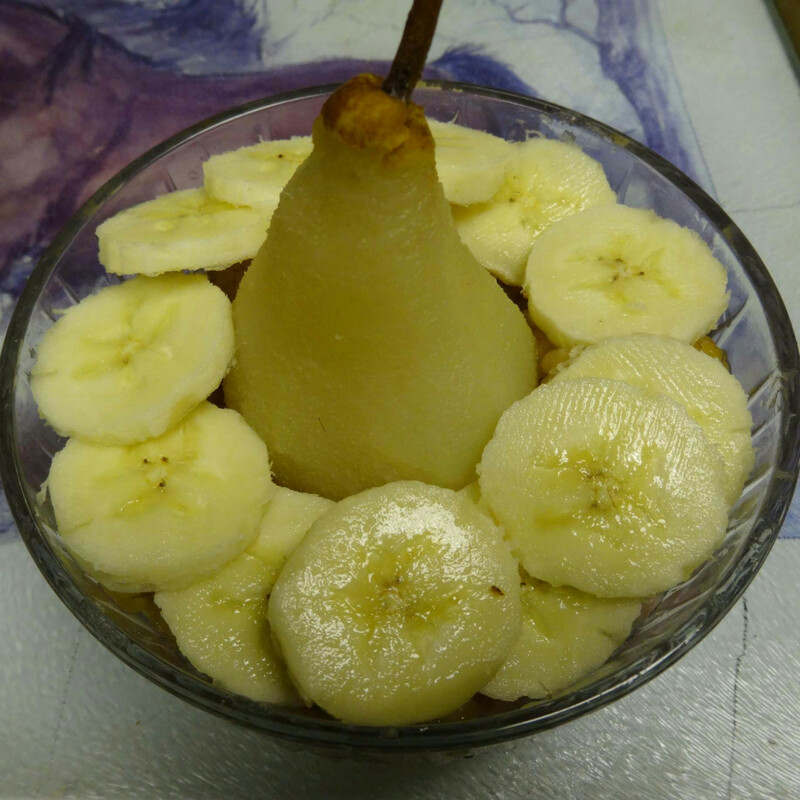 Onboard, we do serve baked pears but only with syrup and cinnamon. Haven't encounter something with custard yet I think this will perfectly match the pears. I will definitely try your recipe. Thanks for sharing! I loved the title of this article when I saw it so I had to read it. 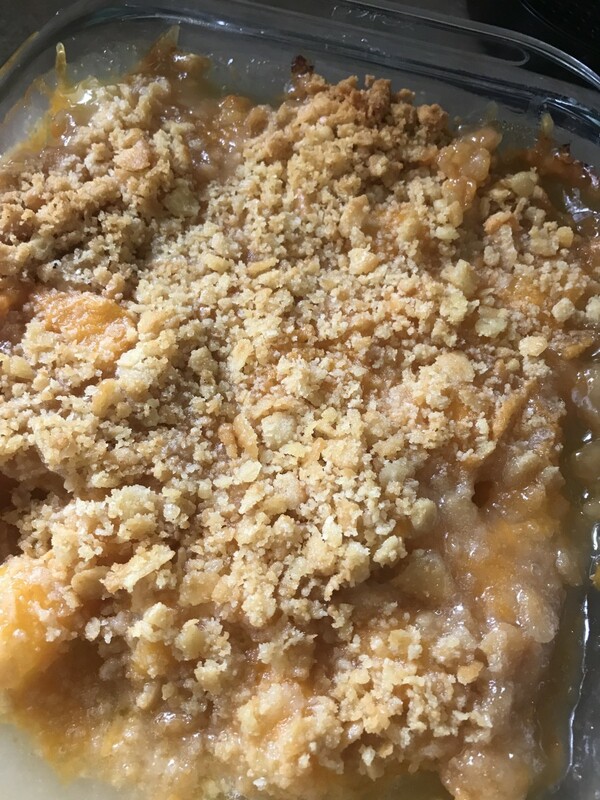 A combination of soft pears, brown sugar, and rich custard sounds delicious. I'm looking forward to trying your recipe soon. Thank you for sharing it, Ethel. That sounds delicious! You made good use of those last three overripe pears from your garden.